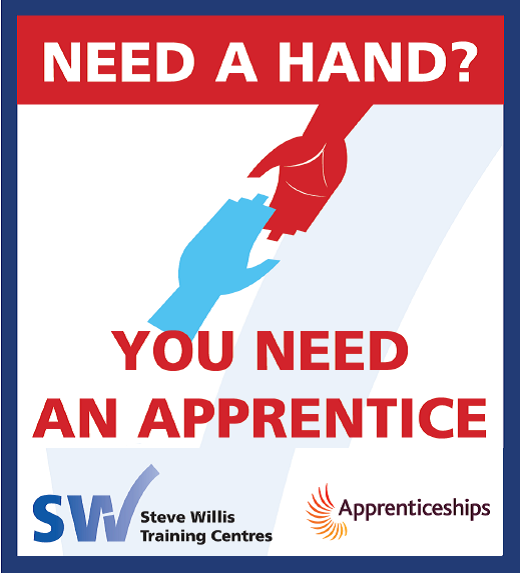 Do you think employing an apprentice is too time-consuming and costly? It might be time to think again following recent reforms to the Apprenticeship Levy. There can also be something refreshing about introducing a new recruit into your business. And if it seems like a daunting process, at Steve Willis Training we’re here to help you all the way through. It starts as we match suitable apprentices to potential employers, continues throughout the training programme as we provide feedback and support to apprentices and employers, and concludes with the celebration of their achievements at the annual Apprenticeship Graduation. If you’ve been thinking about employing an apprentice this year, or you’d just like to find out more or arrange a free consultation, we'd love to hear from you.